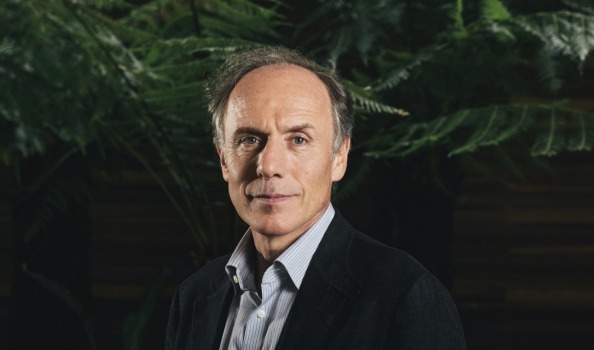 Australia’s Chief Scientist Alan Finkel is looking to cap the take-up of intermittent wind and solar power in the states while technologies to stabilise the national electricity system are developed to prevent blackouts. The move puts Dr Finkel’s electricity system reliability review on a collision course with Labor states such as Queensland and Victoria that are determined to surpass crisis-prone South Australia’s 40 per cent renewable energy mix. Dr Finkel told an energy forum last month it would be difficult to cap renewables in South Australia now because the horse has bolted and all the wind farms and other generators in the state were connected under existing rules. “But as penetration increases in other states in Australia there is a case for thinking about just what level of instantaneous penetration you will allow in any given year in any given jurisdiction until you build up those supportive technologies,” Dr Finkel said. Non-fossil fuel technologies that could help stabilise the grid include batteries and pumped hydro storage. Energy politics boiled over last month when the Turnbull government ruled out emissions trading as a way of reducing carbon emissions and soaring electricity and gas prices are set to keep it bubbling this year. Prime Minister Malcolm Turnbull and Energy Minister Josh Frydenberg last year urged Victorian and Queensland to abandon their 50 per cent renewable energy targets by 2030 and accept the federal target of 23.5 per cent by 2020. Dr Finkel told a Grattan Institute-Melbourne University energy forum last month that “really high” rates of intermittent wind and solar power “take inertia out of the system” and make it “more subject to propagating failure if a generator disconnects or some other problem occurs”. “Spinning inertia” stabilises the frequency and voltage in the grid and has traditionally been provided by “synchronous” coal and gas generators, but South Australia’s last coal-fired power station shut last May. Dr Finkel is fast-tracking the part of his report that looks at how batteries can be used to provide “frequency control ancillary services” such as inertia after presenting to energy ministers on the subject on December 13. His final report on system security is expected in May. In the meantime, the Australian Energy Market Operator has insisted since South Australia suffered a statewide blackout on September 28 that at least two gas turbine generators operate at all times in the coal power-free state, even at minimum capacity. AGL Energy reversed plans to mothball four ageing gas turbines at its Torrens Island gas power station in June as power prices soared in South Australia and in July the state’s Weatherill government had to lean on France’s Engie to turn its Pelican Point gas plant back on. South Australia pays much higher prices for electricity than other states and has suffered price spikes, the blackout and another major outage since its last coal-fired power station – Northern in Port Augusta – closed last May. High gas prices also help to push up electricity prices because gas generation is last resort and sets the “marginal price” when the wind isn’t blowing. Dr Finkel told the forum that pumped hydro storage could also contribute to grid stability because “when that water comes downhill, it’s turning an old fashioned synchronous generator”. Pumped hydro and batteries have mostly been considered as storage vehicles for wind and solar energy, which can produce surplus electricity on windy, sunny days and none at all at other times, often with little warning. 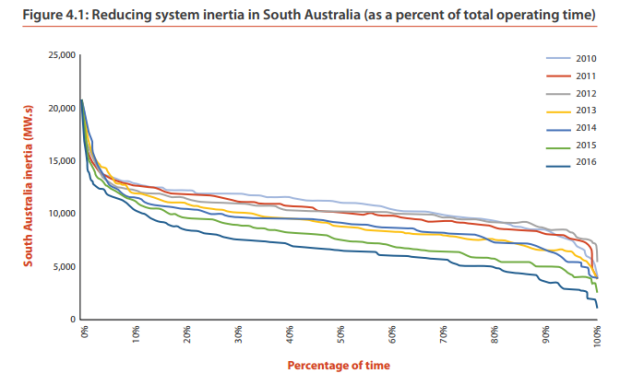 But South Australia’s energy woes have highlighted the need for system stabilising services as well. 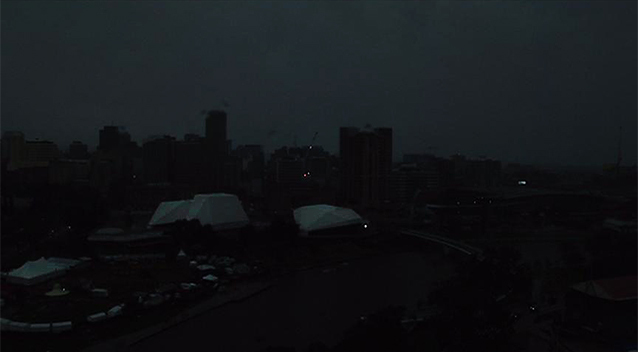 AEMO blamed a severe storm that knocked out transmission networks for the September 28 blackout. But the outages on December 1 that caused BHP Billiton’s Olympic Dam mine to be shut down for a second time in as many months happened partly because the wind wasn’t blowing in South Australia at a time when the state was cut off from Victoria’s coal power. “It’s a really important issue and if you don’t have all the solutions to the missing ancillary services that the old-fashioned synchronous generator would have given you,” Dr Finkel told the Grattan-Melbourne University forum. In South Australia, the horse has most certainly bolted. But, talk about salvaging the situation with magical battery systems is more fantasy than myth: nowhere in the world is there any system operating (or even being developed) that involves the grid-scale bulk storage of electricity. As to pumped hydro, the technology clearly exists and works well where employed. However, the economics of hydro power require that the cost of the power used to pump the water uphill is lower than the ultimate cost of dispatching it from the hydro plant concerned (see this article for more on the cost of pumped hydro and this article on other storage systems and their costs). This presents no issue when the power comes from the excess capacity available from conventional, base-load generators, which offer power at reduced rates overnight, when demand is at its lowest. In Australia, coal-fired plant in Victoria will sell their surplus power to pumped hydro operators, like Snowy Hydro, overnight at rates around $25-$35 per MWh. For wind power outfits to spin a profit, they need to recoup rates 3-4 times that – most long-term Power Purchase Agreements between wind power outfits and retailers are in the order of $90-120 per MWh. Adding that cost to the profitable cost of delivering hydro power would simply increase already rocketing retail power costs, which is the very last thing Australian households and businesses should be forced to suffer. Putting Finkel’s mega-battery fantasy aside, his observation that the only certainty following the addition of any more wind power to the grid is more instability, load shedding and blackouts is right on the money. Although, with the South Australian example hardly news, Finkel might be accused of merely stating the bleeding obvious. But all that is merely to quibble: Australia’s Chief Scientist has called for an immediate cap on wind power to prevent the South Australian disaster from spreading. And it’s that fact that spells Armageddon for Australia’s wind industry. Thanks Alan! 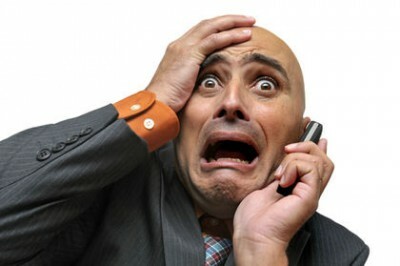 For the wind industry it’s all over, bar the hysterical screaming. The only way to save SA is to reverse the thinking on Wind Energy and pull the turbines down. To do this will need a concerted effort to rebuild this States electricity production capacity – with clean coal. What is needed is to build a plant which can utilise it in a ‘clean’ way, until then the Gas plants need to be kept maintained and the price capped to prevent profiteering from a situation not of the peoples making but of the Governments failure to understand/think of consequences and to accept Fairy Tales are not factual. Finkel talking about Hydro is failing to recognise the blatantly obvious and Tasmania is more than capable of educating him – Hydro is only of use WHEN there has been sufficient rain to fill and keep filled the dams. Reliance on Hydro could lead to even more problems. Battery’s even if they could store vast amounts of energy are only useful until they need re-charging and if there is no wind then re-charging will not be possible. Surprisingly it seems Finkel has failed to use even the most basic level of research processes. If he had he would already know what he proposed and stated in his initial report was not of any use and failed to offer or see any future for SA, its as if he just brushed SA aside and concentrate on the other States – but offering them nothing of any true value except a suggestion that they should take care about whether to continue down the path of Wind. Meaningful battery storage in Victoria is a laughable fantasy. Just google ‘Buninyong battery’ to see how successful that concept is! A new show on bbc knowledge called trust me im a doctor ., hosted by Michael mosley, ( foxtel ) talked about new studies into sleep deprivation and how much more serious it is than previously thought, . One hour less per night can dramatically increase heart disease, diabetes, and more ,. To stabilise the national electricity system meaning, the existing generation-or what’s left of it – and the grid?. It was the wind turbines with their useless harmonics that created the instability. I understand Dr Finkel has a degree in electrical engineering. Why can’t he figure out what we already know. Windmills are useless and dangerous and should not be connected to the grid. Today’s news in the ‘Australian ‘ clearly indicates the government is now not even listening to its ‘own appointed’ experts. The idiocy continues – someone please pull the plug on ‘the swamp’. I suspect Finkel’s statement about batteries is as much political as a belief about what is possible. He can responsibly say, hold off more renewables until battery technology catches up without seeming to say no more renewables, in which case he has to defend why batteries won’t work. In practice the effect is the same but the stated position will seem reasonable to the general public and it is a defensible position for those pollies who are not outright nutters (I accept the latter do seem to be a much higher proportion than one would expect just by chance). Well put.The report is as much a political statement as a technical one given that it has been written for the COAG energy ministers.